According to educational experts, 80% of learning is visual. So if a child can’t see well, he can’t learn well. That’s why Lions KidSight USA was established. Lions KidSight USA is a national program that brings Lions together to ensure that our children receive eye screenings and follow-up care when needed. 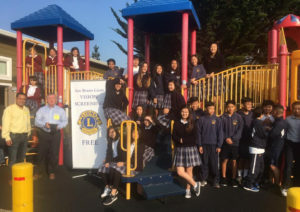 The San Bruno Lions are proud to perform free vision screenings to the youth throughout the community! With the new school year, the San Bruno Lions have started up the Vision Screening Program. The first screening was on Wednesday, October 11 at Highlands Christian School in San Bruno. 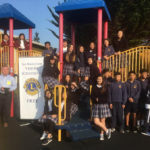 Lions Mel Phillips, Steve Kelly, Bob Marshall, John Giuseponi, Ken Ibarra and Baby Lion Ramesh Maharjan helped screen 236 students.